The Alliance For Change (AFC) on Saturday launched its campaign for Local Government Elections (LGE) with the party’s chairman Khemraj Ramjattan defending the decision to close some sugar estates and the right of the party to contest the polls. 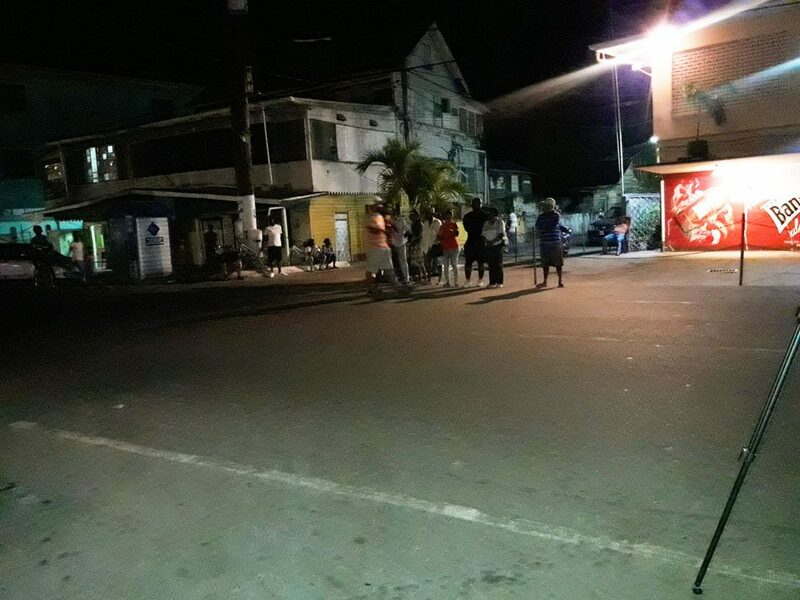 A sparse group of just about 30 persons listened as Ramjattan, also the Minister of Public Security, spoke at length at the rally held at New Street, New Amsterdam, Berbice. 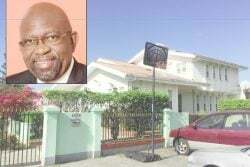 He denied the allegation that the AFC fraudulently procured the names of residents listed as backers of its candidates for the November 12 LGE in the Whim/ Bloomfield Neighbourhood Democratic Council (NDC) area. According to Ramjattan, PPP activists had twisted the tale. However, Ramjattan said on Saturday that the judge told Nandlall that “if you feel is fraud why don’t you go to the police station, why you want me to go and stop an elections, go and carry the thing to the police station.” He alleged that it was the PPP who was forging signatures and pointed to that party withdrawing from contesting the seat in one constituency in the Wakenaam NDC. Ramjattan accused the PPP of fooling sugar workers and assured that their outstanding severance payments would be paid before the end of the year. “These people ain’t got no shame, they run down the industry and when we are trying to correct it now, they got all kinds of nonsense to talk,” he said. According to Ramjattan, good governments, when confronted with hard decisions, make them while considering the betterment of the entire country, not just one sector. “But they couldn’t close down a couple of estates on good grounds because it is going to eat up the whole economy, (if) we did not make that decision in that point in time, the whole economy could have become bankrupt and to save the entirety from becoming bankrupt, we had to make a choice,” he said. Ramjattan noted that when the APNU+AFC government got into office, every month they had to subsidise the sugar industry with $1 billion because it was bankrupt “and we did it for 30 months, $30 billion we put in, so nobody can say that this government is ungrateful to sugar workers,” he said. “We tried and we tried and we tried but we got other workers to look after too, we got public servants, we got police, we got army, we got teachers and nurses, so wah you go take all the money from the treasury now and just give one section,” he questioned. He emphasised the importance of local government elections and said the AFC will get a lot of battering from other political parties. “Some people feel they get transport over East Indians in this country and they feel that we must not go into certain areas. Some others feel they got transport over other people in the area. We must tell them that we as a political party can also put up candidates, credible, fit and proper candidates, so that they could vie for positions of councillorship and even mayorship within the municipalities and NDCs, he said. “Goat ain’t bite we, so if we are a political party that can participate in the upper echelon in government why can’t we participate in the lower echelon in government,” he added. According to Ramjattan, one of the main roles of local government elections is to ensure that citizens, especially youths, are groomed to be in government. “So that they can know how to do budget, how to do the meetings, how to do the prioritisation of the monies that have to be spent in the locality,” he said. “It is about the cradling of young politicians of the day so that they can go on to national elections,” he added. He said the PPP had denied the people the experience of LGEs, pointing out that under the coalition government so far, the upcoming elections will make it twice in five years while under the PPP/C, the elections were only held once. “None of them wanted it after that, as if local government elections was not a constitutional right. It is a constitutional right but all manner of excuses the PPP gave to delay it and delay it, delay, delay to the extent that the opposition, then jointly APNU and AFC, and especially the leadership of Brigadier Granger that indicated that we have to go to this thing and immediately if we were to win this elections, we are going to hold it and hold it every three year as constitutionally due,” he said. Ramjattan emphasised that his government kept their promise to ensure that LGEs are held when due. Additionally, he said, the government has increased the subvention for all NDCs by $1 million while the municipalities’ subvention has been increased from $12 million to $15 million. He also pointed out that the laws were amended resulting in more autonomy for local authorities. The AFC chairman urged persons to vote for candidates who they feel are credible, honest and professional in how they conduct their business even as he emphasised the importance of participating. He said that once persons can manage affairs at the local level, they will be good at managing the country’s affairs at the national level. According to Ramjattan, the coalition government will ensure that youths become wiser from their experience. He said they will make mistakes but that is what they will learn from. When people at the ground level know their rights, they will also know their responsibilities towards their country, he asserted. AFC campaign manager and Minister of Public Infrastructure David Patterson, as well as AFC parliamentarian, Charandass Persaud, along with candidates for Region Six also spoke at the meeting.